Mexican Food is my favorite type of food, no ifs ands or buts about it! Last week, I chopped off part of my thumb and had to get it sewn back on. My husband was on travel for work, so my parents so kindly offered to let me stay with them until he got back to help me out with my two young, wild, crazy and adorable children while my thumb was on the mend. I love my parents, and I love visiting my “home.” Its funny. Even though we grow up, get married, have kids and create our own lives, it seems, at least for me, that when I walk into the doors of my parents’ house, its almost as if I never left. Even though I am a mom, sometimes I just need MY mom. It was so nice to feel “taken care” of while I was in some pretty intense pain. The moment my kids and I walked in the door, my mom immediately said, “What can I make for you? What are you craving? What will make you feel better?” Hearing those three sentences made me cry. I just love my mom. I knew exactly what I wanted. I have had this idea in my head for a while now and just never got around to fixing it up. So I told her what to do and she made me this wonderful, DELICIOUS and absolutely perfect quesadilla. Seriously, it is amazing, unique and filling. So sorry about your thumb.....OUCH!!!! These are going to happen at my house soon!! Ouch! I hope you heal quickly, I can't even imagine how horrible that would feel :( The quesadilla looks AMAZING though, almost worth the cut thumb......umm, maybe not but still, it looks delish, lol. 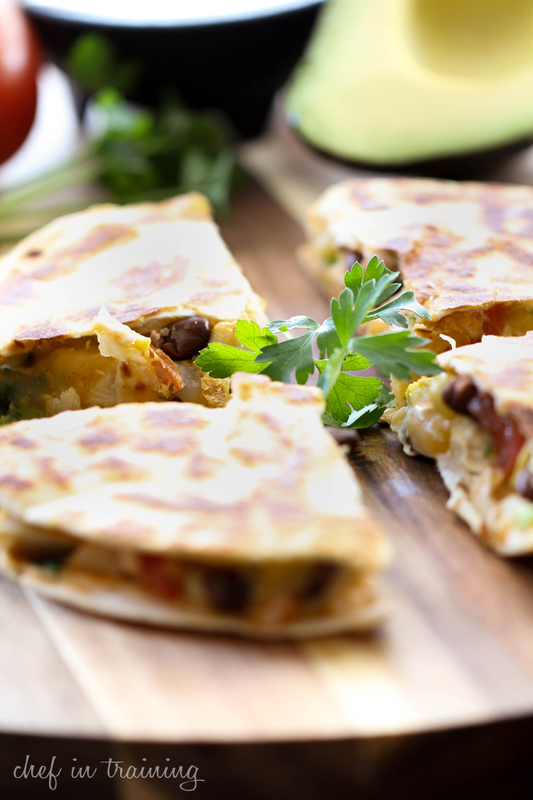 This quesadilla looks amazing! We love Mexican food in our house too. I know my kids would eat this up! I love Mexican flavors!! Really is the best kind of food to eat when you're happy, sad or looking for fun! Oh my goodness, I hope your thumb is feeling better! 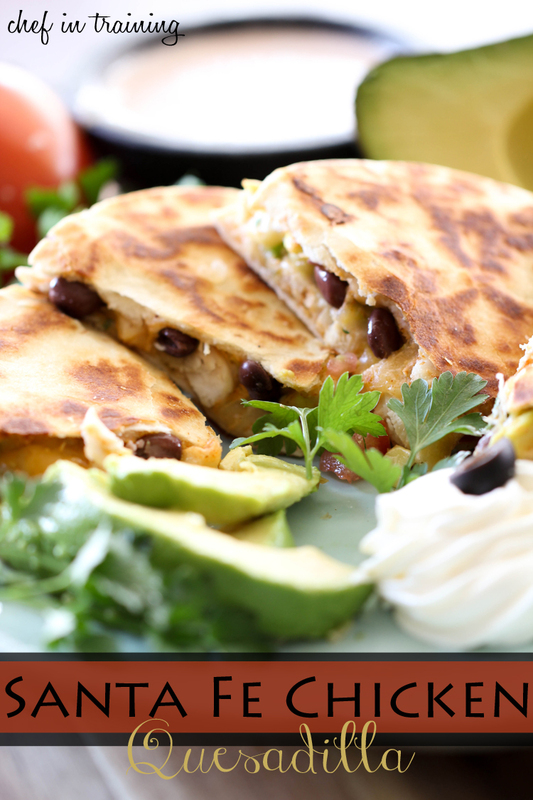 Love the flavors in this quesadilla. Such a great, easy lunch option. What a sweetheart of a mom you have!!! And those quesadillas sound killer!!! Wow!! you sure got my attention!! all of my favorite things, black beans, cilantro, avocado..... Oh I seriously can't wait to try these out. I will make them for my daughter who loves all these things too and she has just returned after 5 months away in Italy. So very sorry to hear about your accident! So very glad though to hear that you have such an amazing family! This sounds perfect, thank you for the recipe!